Metal hydride materials can store a huge amount of hydrogen and can convert energy due to enthalpy change through a hydride reaction. Artificial actuation systems that employ this special physicochemical property are named metal hydride actuators. The actuators utilize the mechanical energy formed from hydrogen equilibrium pressure through thermal energy given to the metal hydride alloys as output. Metal hydride actuators have a simple structure and a number of features that make them attractive for use in rehabilitation engineering and assistive technology. They provide a high power-to-weight ratio, high strain actuation, human-compatible softness and noiselessness, and they are environmentally benign. The behavior of metal hydride actuators is also useful for overall human-machine interface applications. This article reviews the motivation for the development of some of the leading artificial muscle-like actuators, outlines the metal hydride actuators and describes its applications in quality-of-life technology. In an aging society with a falling birthrate, there is an increased need for home-based rehabilitation systems and human-centered robots for healthcare services (Gardner-Bonneau & Gosbee, 1997). In particular, elderly patients who are required to lie in a reclined position due to stroke or bone fracture may suffer from disuse syndromes, such as bedsores, joint contracture and muscular atrophy (Bortz, 1984). It is difficult for these elderly patients to actively exercise for preventive rehabilitation. Thus, to manage these disuse syndromes, rehabilitation equipment and assistive devices, such as bedside apparatuses for continuous exercise of joints, power assistance devices for standing and transfer hoists must be developed. These equipment demands powerful and soft actuators, as well as human muscles. Currently, however, no commercially available actuators with the desired characteristics, which are human-compatible, softness for safety, noiseless and having a high power-to-weight ratio exist (Burdea, 1996). 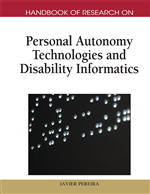 These technical requirements present a challenge to the development of rehabilitation and personal autonomy systems. To solve this challenge, various types of artificial muscle-like actuators, such as pneumatic muscle actuators (Caldwell et al., 2000), shape memory alloy actuators (Huang, 2002) and polymer actuators (Shankar, 2007) have been actively studied by material scientists and biomedical engineers. However, a satisfactory result for artificial muscle technologies for rehabilitation or healthcare devices has not been achieved yet. In order to fulfill the above demands for the design of a human-centered actuator, we originally developed some actuator systems using metal hydride materials as a flexible mechanical power source (Wakisaka et al., 1997). Metal hydride actuators (MH actuators) can produce a powerful and soft force, even if it is a small and light package, because the metal hydride materials can store a large amount of hydrogen gas by controlling heat energy; this energy is about a thousand times larger than the volume of the metal hydride alloy itself. Moreover, MH actuators have human-compatible softness and noiseless motion, which derived from a reversible thermochemical reaction of metal hydrides. An additional potential merit is that hydrogen is a clean energy carrier candidate because it does not have adverse effects on the environment (Sakintuna et al., 2007). The purpose of this chapter is threefold: first, to overview soft artificial muscle-like actuators to support personal physical activity; second, to describe the properties of metal hydride materials, the structure and motion control technique of the MH actuator and the performance upgrade with installed soft bellows made of a multilayer laminate film; third, to show some applications of the MH actuators in rehabilitation and assistive technologies, which require a continuous passive motion machine for joint rehabilitation and a power assistance system for people with restricted mobility. Finally, we present future works related to further improvements of the MH actuators for more suitable devices in rehabilitation engineering and assistive technology. Continuous Passive Motion: A medical treatment in orthopedics, which moves a joint continuously and slowly after injury or a surgical operation and promotes recovery of the range of motion. Peltier Device: A device that uses a thermoelectrical effect for cooling or heating. When the current flows through the junction between two metals, heat is absorbed or liberated at the junction. PCT Diagram: A diagram that summarizes the property of hydrogen concentration (C) in an equilibrium state when an HM alloy is exposed to various hydrogen pressures (P) while maintaining a certain alloy temperature (T). This shows the fundamental character of the hydrogen absorption ability of the MH alloy. Assistive Technology: Devices and services used in the daily lives of people with a disability to enhance their ability to function independently, such as wheelchairs, transfer hoists, environmental control devices, or communication aids. Metal Hydride Alloy: Inter-metallic compounds having the reversible ability to store and release large amounts of hydrogen when cooled and heated, respectively. They are inherently safer than compressed gas or liquid hydrogen and have a higher volumetric hydrogen storage capacity. Artificial Muscle: An actuation device with similar (biomimetic) properties to animal muscle or modeled after the mechanism of biological muscle. Disuse Syndrome: A pattern of symptoms as a result of long-term disuse, which is characterized by both physical and psychosocial effects of inactivity. Typical symptoms of disuse syndrome include muscle weaknesses, restricted range of motion (ROM) of joints, declined respiratory function, altered blood flow in the peripheral tissue, reduction of bone density and mental function disorder. Actuator: A device used to produce a motion or action. The major actuators in industrial applications are electric motors, hydraulic and pneumatic cylinders. Bedsore: A chronic ulcer of the skin caused by prolonged pressure of the weight of one’s own body because of lack of movement; occurs primarily in bedridden people and wheelchair users. Rehabilitation Engineering: A discipline of biomedical engineering concerned with the application of science and technology to improve the quality of life of individuals with disabilities because of sickness or aging.